Home » Basketball » Why am I Knicks Fan? Why am I Knicks Fan? I simply do not know why I continue to root for the New York Knickerbockers. I have made it pretty clear on this blog on multiple occasions that the Knicks are the most dysfunctional franchise in the NBA. One would think that they would have some sanity and make at least one smart decision, but they do not know how bad the Knicks are. The misery for the Knicks’ fans looks like it will grow Thursday night at the NBA Draft where one of the cornerstones of the franchise might get traded. Rumors were brewing around the NBA media that the Knicks front office was calling around the league looking for a possible suitor in a trade for Kristaps Porzingis. The rumors were all but confirmed when team president Phil Jackson made a rare and unexpected media appearance on Wednesday night and did absolutely nothing to stop the presses. Jackson said he will do anything to make the franchise better, which includes maybe trading the best player on the team. I am dumbfounded at this organization and hopefully something good happens for the Knicks soon, but I highly doubt it. I hate calling for other people’s jobs especially if they are at the tale end of their life, but Phil Jackson has to be fired by James Dolan and the Knicks as soon as the NBA Commissioner approves the Porzingis trade. Jackson wants to make the team better by trading a 21-yr old star who has the potential to be a hall of famer and is the only bright spot for Phil in his tenure as the head guy running the Knicks. From signing guys like Jose Calderon, Derrick Rose, Joakim Noah to hiring coaches like Derek Fisher and Kurt Rambis, Phil simply does not know what he is doing. The man has lost his mind and is trying to build a team using a system that nobody uses anymore. If the Knicks want to turn this mess around, the first thing they have to do is fire Phil Jackson before he makes a dumb trade for Porzingis. Given his track record, Phil might get the best package for Porzingis, but it will eventually be a dud because that is how things are going for the Knicks right now. Thursday night is the NBA Draft and for the first time in a couple years, I as a Knicks fan am looking forward to it. 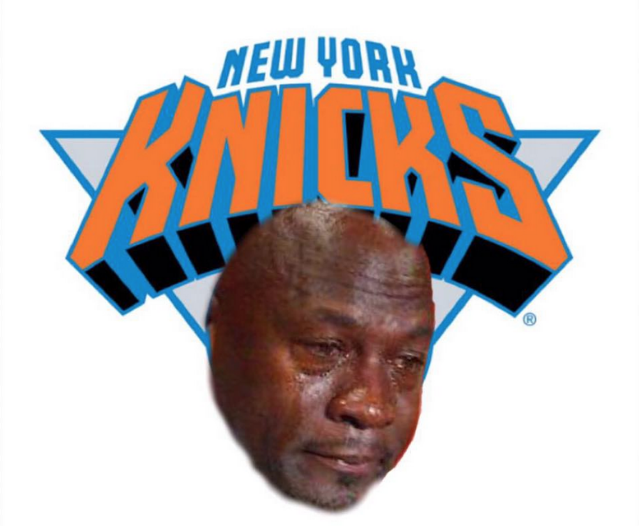 I was going to do a draft preview and what things could happen during it, but the Porzingis rumors sunk that ship. There is a chance that the Knicks, who currently possess the eight pick in the draft, can move up to either the third or the fourth pick as part of a trade package for Porzingis. The Knicks could get one of the best players in the draft in Josh Jackson or will blow it with a dumb selection at the eight spot. I have zero faith in them making the right pick in the draft, whoever they pass on is a lock to be a future hall of famer. If Porzingis gets traded before or after the draft, I will for sure have a blog as soon as I can, but follow along on social media for instant reaction even before I get around blogging about the bleak situation at the World’s Most Famous Arena. Facebook and Twitter.